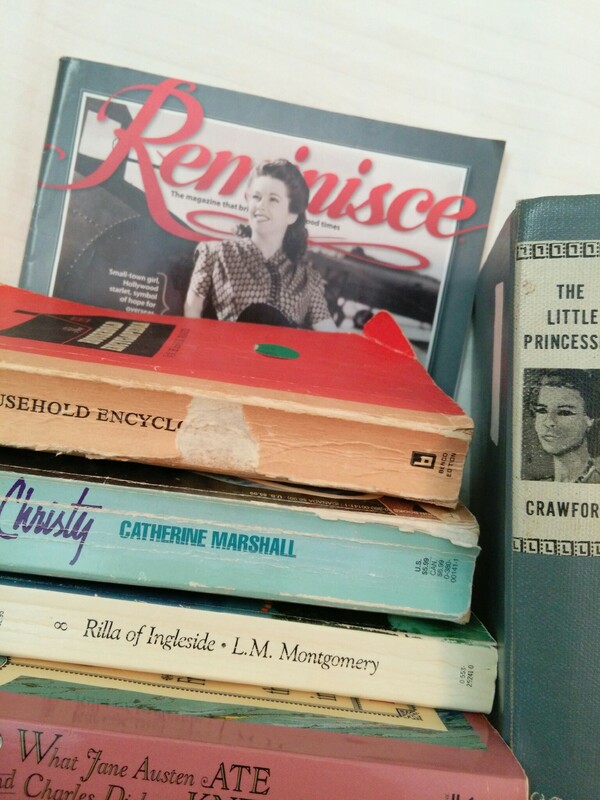 The vintageinkstand is a personal blog merging two of my biggest passions–reading and all things historical and vintage. From biographies to handwritten recipes to household hints of the early 1900s, from diaries to journals to my great-grandmother’s letters, I hope to share my latest findings, oldest dear friends (and my books are friends), interesting blurbs, and reviews of books, including many that are on the free domain. I am also a high school and middle school English teacher, currently working for a boys ranch (residential facility for at-risk youth). Each year, part of my job joy is introducing “new” students to classic literature. Between “This sounds so boring!” and “Can we read more of that book today?” lies the journey of a school year. Along the way, I hope they see that people who lived in the Dark Ages and the Victorian era and the chaos of the 1960s all loved and worried and flirted and lost friends and searched to know God, just as we do today. Now for the best book I have read this year. It is very hard to pin down, actually, but I would have to choose: The Selected Journals of L. M. Montgomery: Vol. 1. Lucy Maud Montgomery is probably my favorite writer (if I were being tortured and had to pick), and last year I could not put down Mary Rubio’s Lucy Maud Montgomery: The Gift of Wings. I wanted to read her journals for myself, even though Rubio and others who knew Montgomery feel she was very selective in her thoughts, especially as her life went on, knowing the public would read her personal journals. The more I read biographical material about writers, the more I see their lives in their works. It is so intriguing and almost always without fail (at least in the types of books I read) that their experiences are found in their books. Hi Janna– fun to find your blog! I was a teacher (retired) and love to read as well. Always happy to get recommendations like yours… thanks!